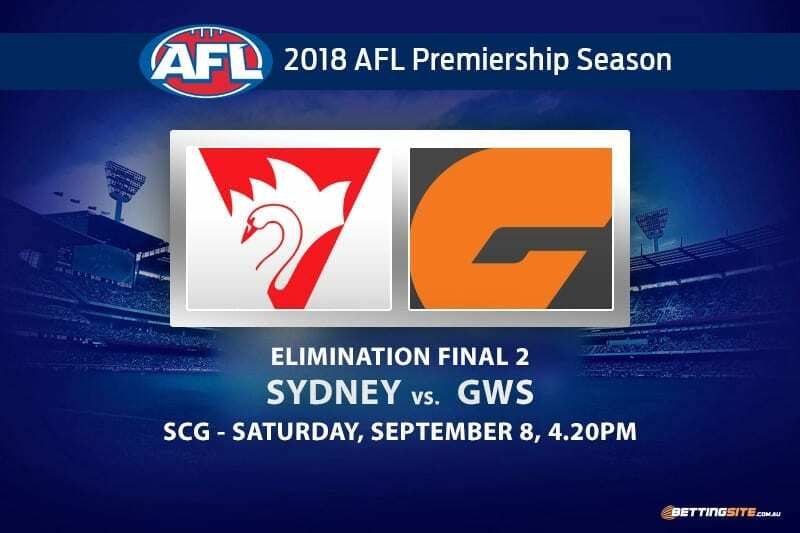 As if the rivalry between the Sydney Swans and the GWS Giants wasn’t big enough, they now find themselves facing off in an AFL Elimination Final this Saturday afternoon. 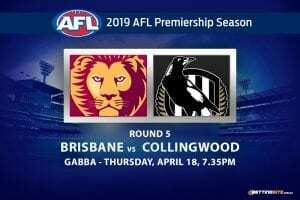 This will be the second time that a battle of the bridge takes place in a final — the Giants were able to get the chocolates in a qualifying final back in 2016. Momentum is a beautiful thing in football, but only when you’re winning. The Giants have lost their last two margins, dropping them outside of the top four. 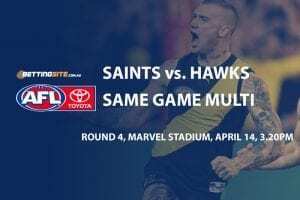 The injuries to the Giants were too severe to cover as key position and experienced players including Heath Shaw, Dawson Simpson and Jonathon Patton were all ruled out for the year. While the Giants are on the drop, the Swans have timed their flight perfectly as Buddy Franklin and Luke Parker come back into the side, fresh and ready to compete. Both are fit to play after slight groin niggles during the last week of the season. 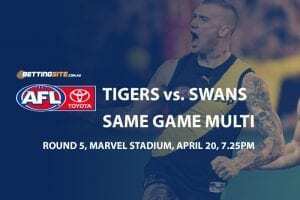 The last three matches between these two sides have all been won by the Swans — each margin below 20-points, which indicates that this match will be a hot contest that will go down to the final siren. 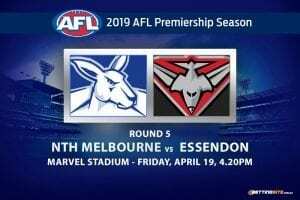 Let’s take a look at the tips for this Sydney derby Elimination Final. Having finished sixth on the ladder by the season’s conclusions, the Swans earned themselves the privilege of a home final. The Swans at the SCG have been nothing short of average. They have only won five out of 11 matches there so far in 2018. 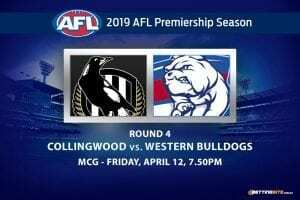 This week will be different as the well-drilled and experienced Swans know when to play their best footy, and that’s in September. They will easily be the first side to 25-points. This is a case where the favourite to kick the first five behinds should win due to more opportunities than their opponent. The Giants are a classy team, but only when they field a healthy 22. 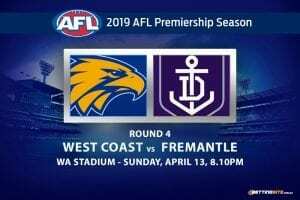 The Swans will outclass them in the midfield and will be the first side to kick five behinds as they will have many more shots on goal. The bookmakers must have made a mistake this week. Isaac Heeney is the young face of the AFL as he is a star on the rise that will slowly take over the competition. So why is he paying a huge $2.20 to get a mere 20 touches? Heeney has had his weeks where the ball doesn’t enter his area or he is injured and doesn’t finish the match, but when the time is right, you can pencil in Heeney every day of the week to get 20 disposals. The biggest omission from the 40-man All Australian Squad was, without a doubt, Stephen Coniglio. The young GWS midfield jet has played every match in 2018 and is yet to take a backward step. Of all the players on the Giants’ list, Coniglio has the highest average disposals per match, a nostril ahead of Josh Kelly. Being such a talented ball-winner, it’s hard to see Coniglio not get the 30 touches when his side needs it the most. This point is reiterated in every Sydney Swans article we have published throughout the season. The match is going to be low-scoring and contested — that’s just how John Longmire coaches his Swans. The weather in Sydney for the weekend is going to be wet and wild — the perfect equation for a low scoring affair. The Giants would have been a great tip for this match, if not for the amount of injuries the team is currently carrying. 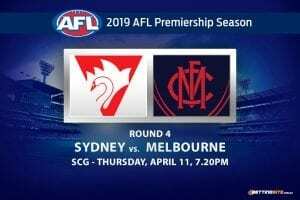 The Swans are a genuine outfit that should not be underestimated and will confidently win this match and proceed to the next round of finals.